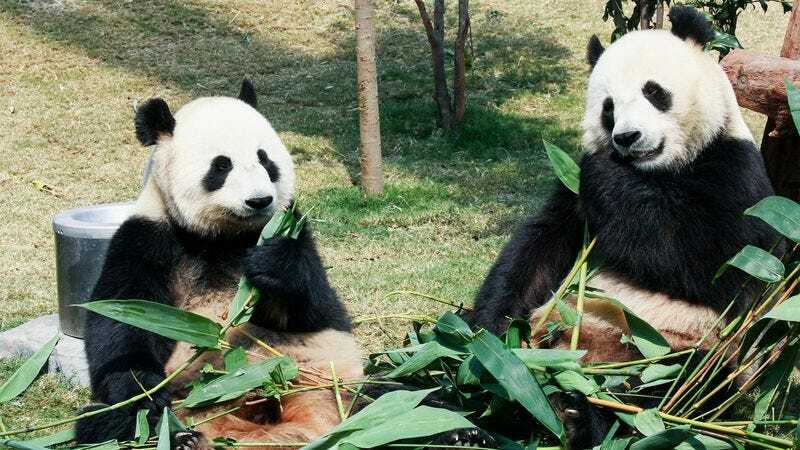 WASHINGTON—Assuring the public that the decision was difficult but the right thing to do for all parties involved, the Smithsonian National Zoological Park announced Friday that their giant pandas would be divorcing. “After a lot of soul-searching and honest, often painful, discussions, we are sad to say that our two giant pandas, Mei Xiang and Tian Tian, will be seeking a divorce,” said Michael Brown-Palsgrove, curator of the zoo’s Asia Trails and Giant Pandas section, adding that the couple had been sleeping on opposite sides of their enclosure for the past few months, a rift sources suggested was fueled in part by Tian Tian’s reluctance to have another cub. “For the time being, Tian Tian will be crashing on the rock outcropping in the enclosure of his friend Remi, a sloth bear, until he can find a more permanent place to stay. Although there’s much to be sorted out in terms of feeding schedules, what’s important now is that we focus on making this an easy transition for 2-year-old Bei Bei, over whom the pandas will share joint custody.” Brown-Palsgrove went on to say that in order to respect their privacy during this difficult time, the 24-hour panda cam will be turned off.